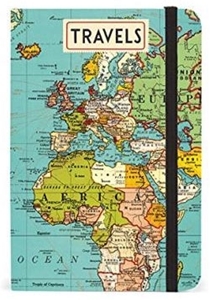 This is a unique notebook from Cavallini & Co. with a beautiful and robust cover featuring a vintage map of the world. It includes 256 lined pages, an inside back pocket and a handy elastic band to keep it tidy. 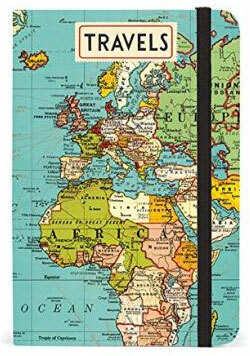 This is an ideal travel companion to write notes, thoughts and plans.